This an developing institute with 20 tutors as an employees. We handle home tuitions for class 1-10 for all kinda boards. This was initially started with 3 tutors and now it has 20 tutors. The tutors working for this institution are graduates who are unemployed. So my intention is to provide job for them and as well the knowledge for the students. We help you grow. 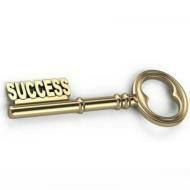 Key For Success conducts classes in Class 10 Tuition, Class 6 Tuition and Class 7 Tuition. It is located in Tiruvottiyur, Chennai. It takes Regular Classes- at the Institute.